NWMPHN CEO Chris Carter (right) and Suicide Prevention Officer Chris Schildt (left) say the training is an important step towards better care. North Western Melbourne Primary Health Network is looking for organisations to develop and deliver a tailored training package for mental health services, frontline staff and GPs in how to provide a safe and inclusive space for LGBTI+ people accessing their services. The new training program is the first of a range of services which will be developed under a Victorian-first suicide prevention trial targeting high suicide risk in the LGBTI+ community. The $3 million trial aims to break down barriers to treatment for LGBTI+ people and ensure health services are safe and inclusive. Aftercare: a service of support for LGBTI+ people who have attempted suicide – opens 6 August 2018. 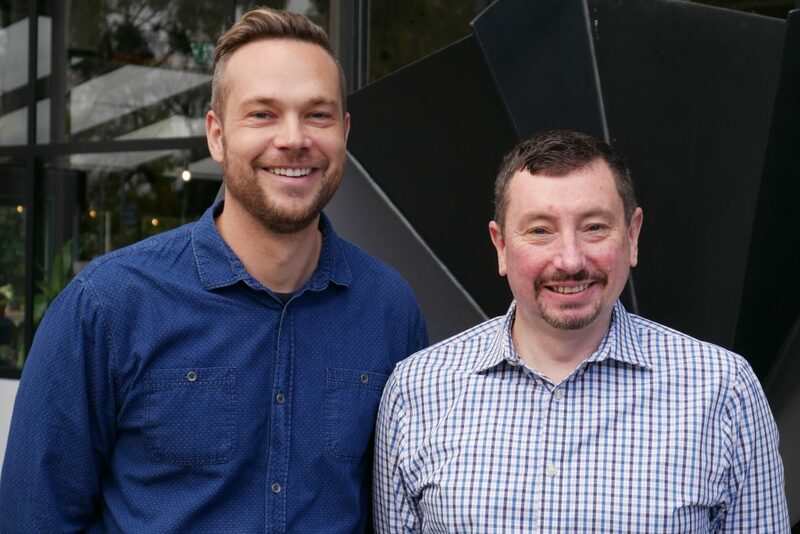 NWMPHN Suicide Prevention and Intervention Project Officer Christopher Schildt said a key focus for the training program was improving the way LGBTI+ people experience the health system, and the quality of the care they receive. NWMPHN CEO Adjunct Associate Professor Christopher Carter said the Affirmative Practice Training would also help give GPs and other health professionals more confidence and expertise when treating LGBTI+ people. “Creating a more welcoming and understanding health system is one of the clearest ways we can help keep LGBTI+ people engaged with the health system,” A/Prof Carter said.